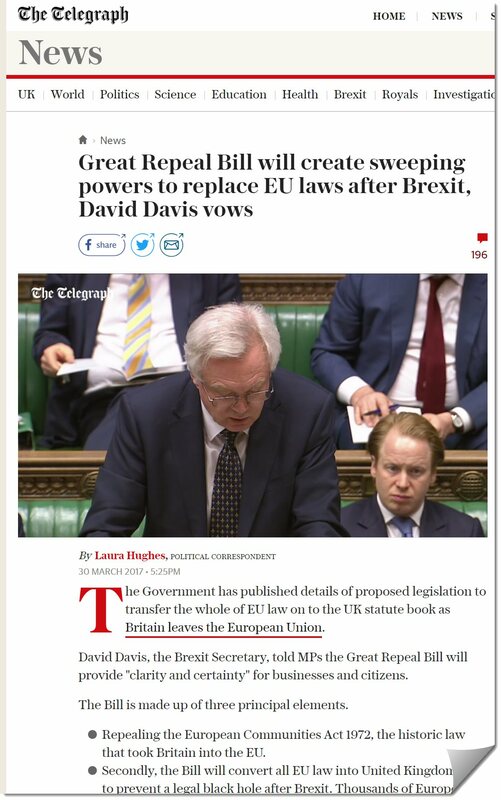 Well, if you haven't heard of The Great Repeal Bill - consider if you are related to Rip van Winkle! What's this about? Sumik about Henry VIII clauses - Proclamation by the Crown Act 1539 - and sumik to do with Brexit. Law students may wish to be occupied with how Ministerial powers are used in relation to Parliamentary Sovereignty. For those who are in the know - whaddayah think about it all? See The Telegraph.